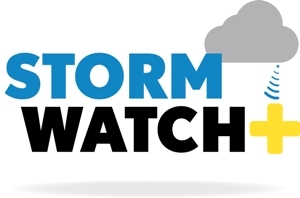 Coffee County Severe Weather is proud to endorse StormWatch+, a “wake-me-up” mobile weather app that warns you when inclement weather is imminent. StormWatch+ was developed by Cirrus Weather Solutions, LLC in Memphis, TN. AFTER DOWNLOADING THE FREE STORMWATCH+ APP, YOU WILL WANT TO PURCHASE THE ALERT FUNCTIONALITY VIA IN-APP PURCHASE. ENTER COFFEE AS A REFERRAL CODE WHEN REQUESTED.